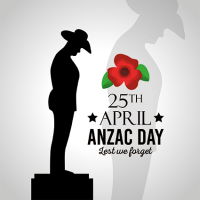 ANZAC Day is a truly Australian and New Zealand day of commemoration when we remember those Australians and New Zealanders who have lost their lives in wars representing their country. The tradition of ANZAC (and it must be all in capital letters as it stands for the Australian & New Zealand Army Corps) was born at Gallipoli in Turkey during the First World War when they combined with other troops of the —then— British Empire on the 25th April 1915. The Bass Hill RSL Sub Branch commemorates ANZAC Day holding a Dawn Service at the Sub-Branch memorial each ANZAC Day commencing with the marching of Returned and Ex-Servicemen & Women at 5.30am from a street nearby (Buist Street), to outside the Bass Hill RSL Club lead by band members. The Ex-Servicemen & Women are joined by members of the Sub-Branch Youth Club, Scouts, local school representatives and any person who wishes to march on behalf of a departed Ex-Service family member. At the conclusion of the Service, a sumptuous breakfast is served by the ladies of the Women’s Auxiliary which has been prepared by a caterer and sponsored by the Sub-Branch. The Ancient Greeks believed that rosemary made their memories stronger and the Egyptians used it more than 2,000 years ago to place on tombs. 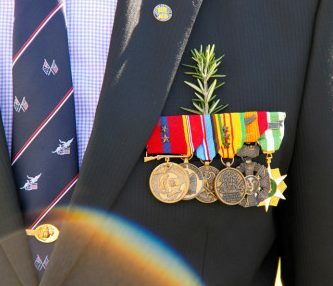 This idea has been carried on today when people wear sprigs of rosemary as a symbol of remembrance for those who have died in wars. 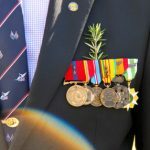 It also has particular significance for Australians, as the herb can be found growing wild all over the Gallipoli peninsula, where troops fought in 1915.